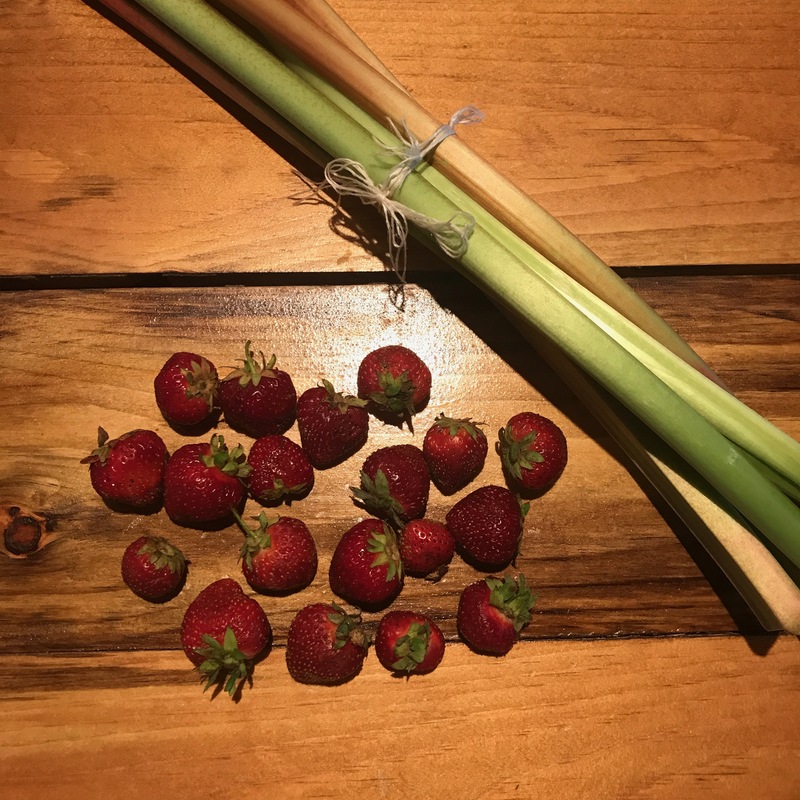 I was super excited to spy these very delicate rhubarb stalks at our local ADK Farmer’s Market. Rhubarb can be quite thick and unwieldy, almost like giant red-and-green celery. If that’s what available to you don’t worry. Get some! I try to buy 6-8 stalks (or more). 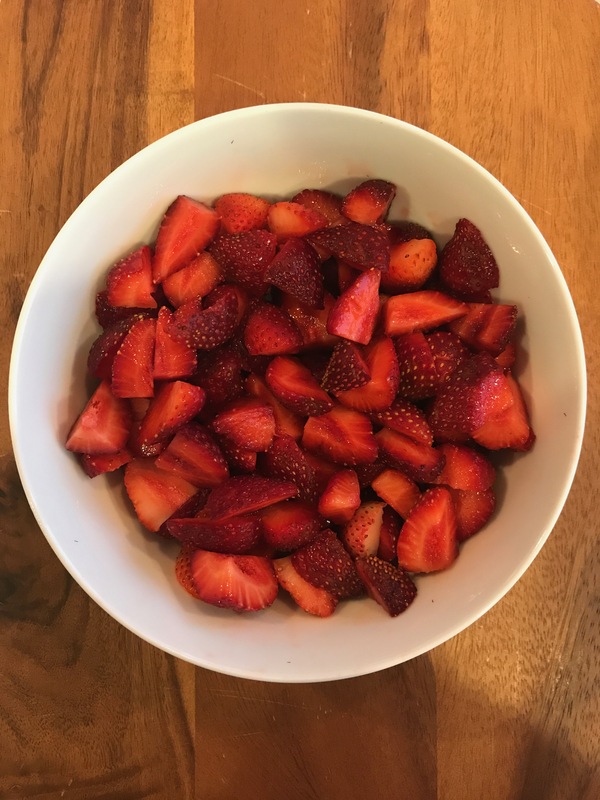 And juicy, fragrant, naturally sweet strawberries are pretty bountiful now. Rhubarb is packed with minerals, vitamins, organic compounds, and other nutrients that make it ideal for keeping our bodies healthy. Some of these precious components are dietary fiber, protein, vitamin C, vitamin K, B complex vitamins, calcium, potassium, manganese, and magnesium. What’s so perfect about this recipe is the balance of tangy rhubarb and sweet strawberries. For me, neither would be right alone. It’s the combination that makes this blend the bomb that it is. 1. 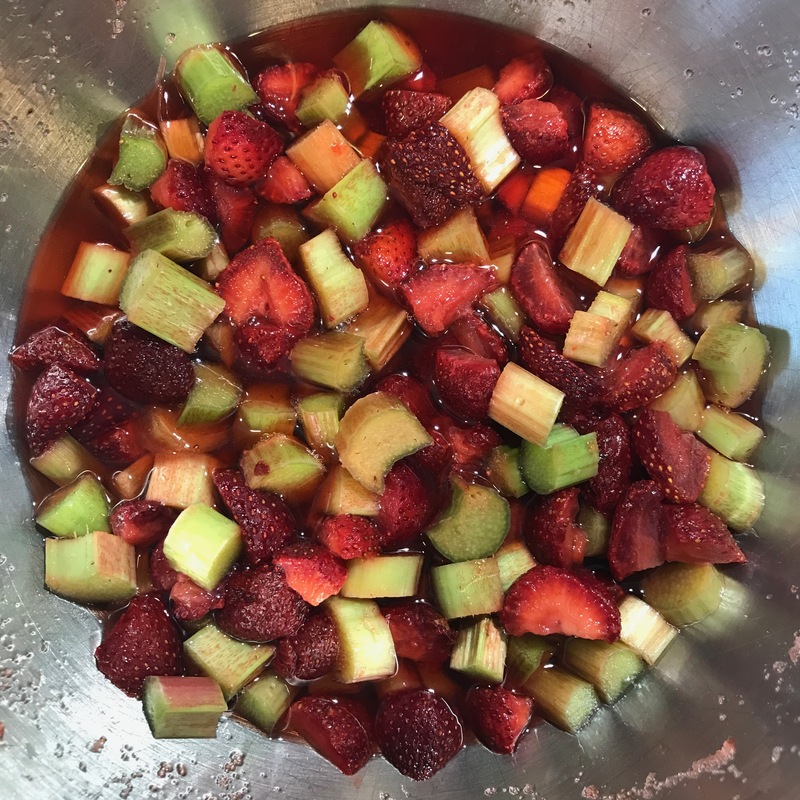 Wash and cut up strawberries and rhubarb, removing leafy green stem on strawberries and cutting off rough ends on rhubarb stalks. Depending on size of berries and stalks, I typically quarter berries after removing tops. 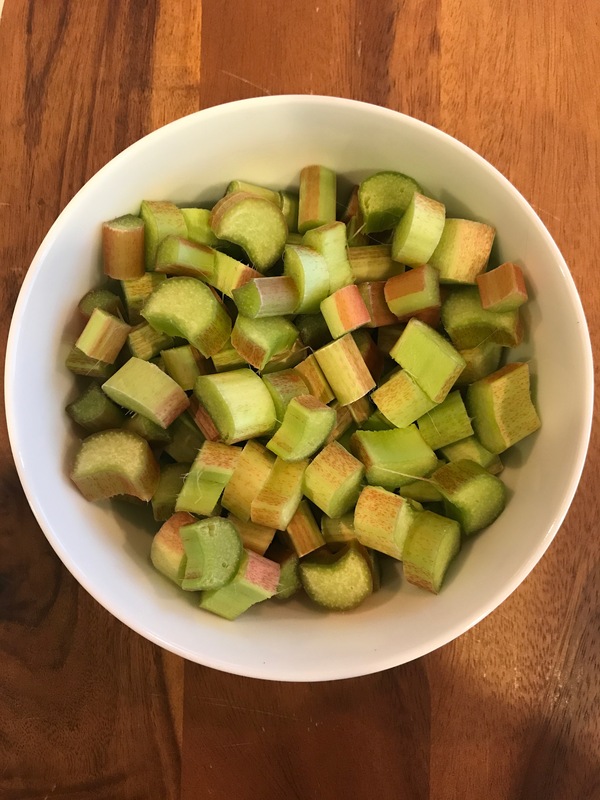 I slice rhubarb stalks lengthwise down the middle (unless delicate), then cut into pieces about 1/2 thick. 2. Combine in a medium-to-large bowl, add lemon juice and sugar. Stir to combine. Then let sit in fridge for at least 30 minutes. Longer is OK. I prepped this batch, then went to a yoga class, then cooked it up. All good. You want to allow all the juices to come out. 3. Transfer to a wide saucepan. (I really like Le Creuset.) Cook over medium heat until boiling. You must stir. Otherwise your jam will burn. The mix will foam up, but that’s OK. Keep stirring! You will need to do this for at least 20-30 minutes. I don’t mean stir for 20 minutes, but stir every few minutes during that time. 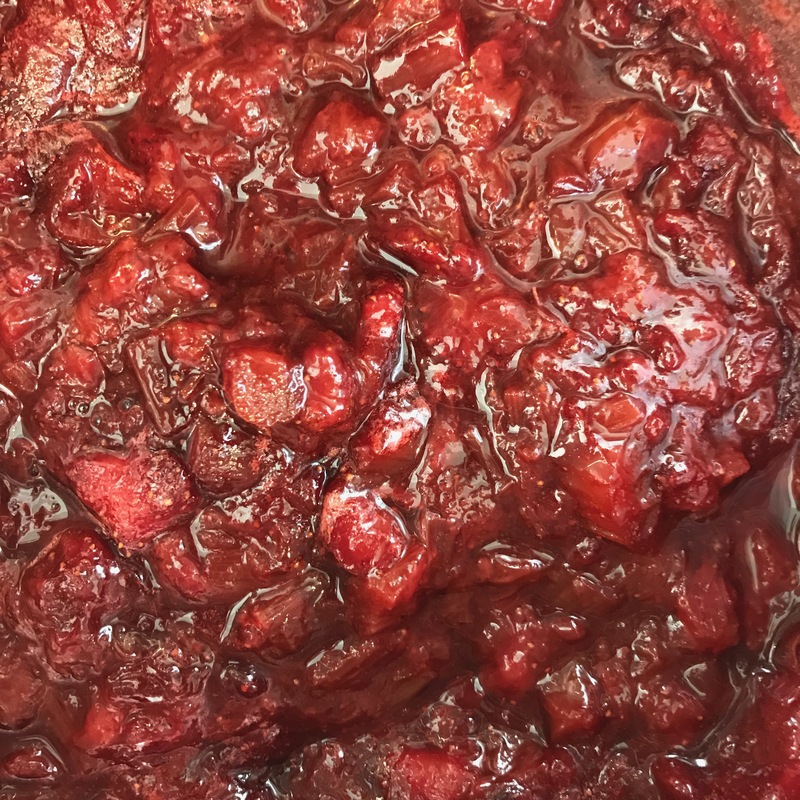 Jam is done once the mix thickens up and holds its own when stirred. You’ll know! 3. Remove from heat and cool completely before serving. You can store in the fridge for 2-3 weeks…if it lasts that long. You can also freeze for later! Here, just a few ideas of what you can do with it. Bread or toast — with butter, PB, cream cheese or soft herbed cheese (great appetizer!). You could also use this as filling for hand pies with ready-made crust or as topping to puff pastry for a crowd-pleasing summer galette. 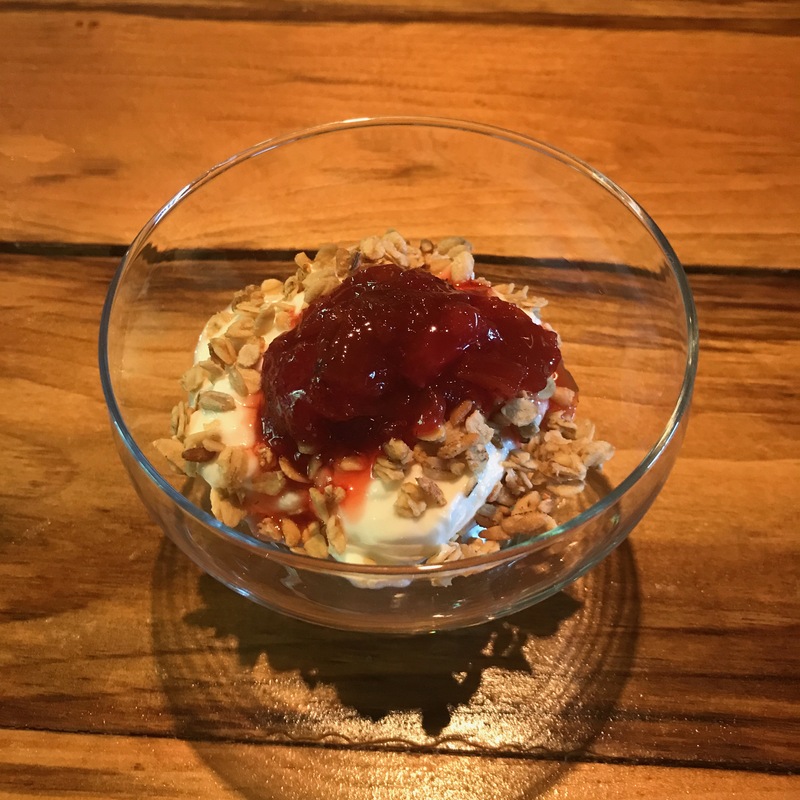 Let me know if you give this recipe…and rhubarb a try. Enjoy! Thank you, Regina! Was fun to shoot, especially the Eat Local pic! 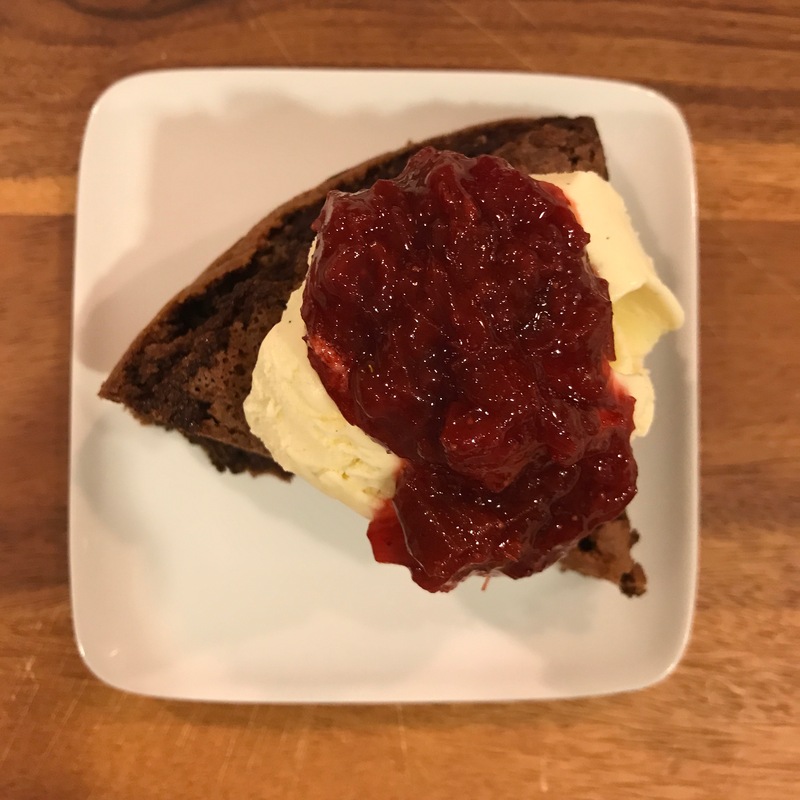 Awesome post with great recipes that I can’t wait to try! I have never even purchased rhubarb lol! 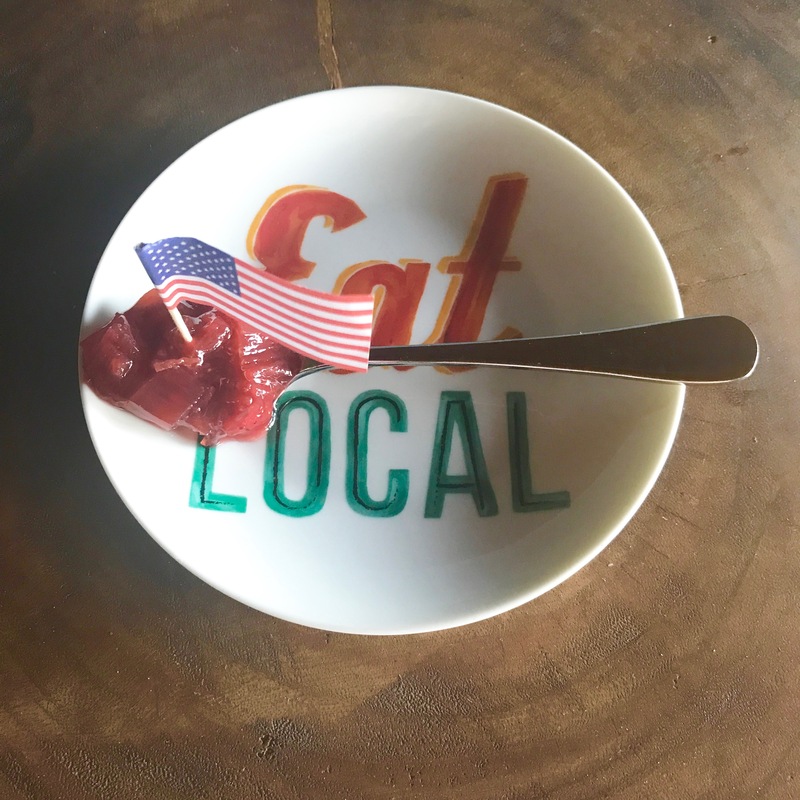 LOVE LOVE your eat local pic!!! 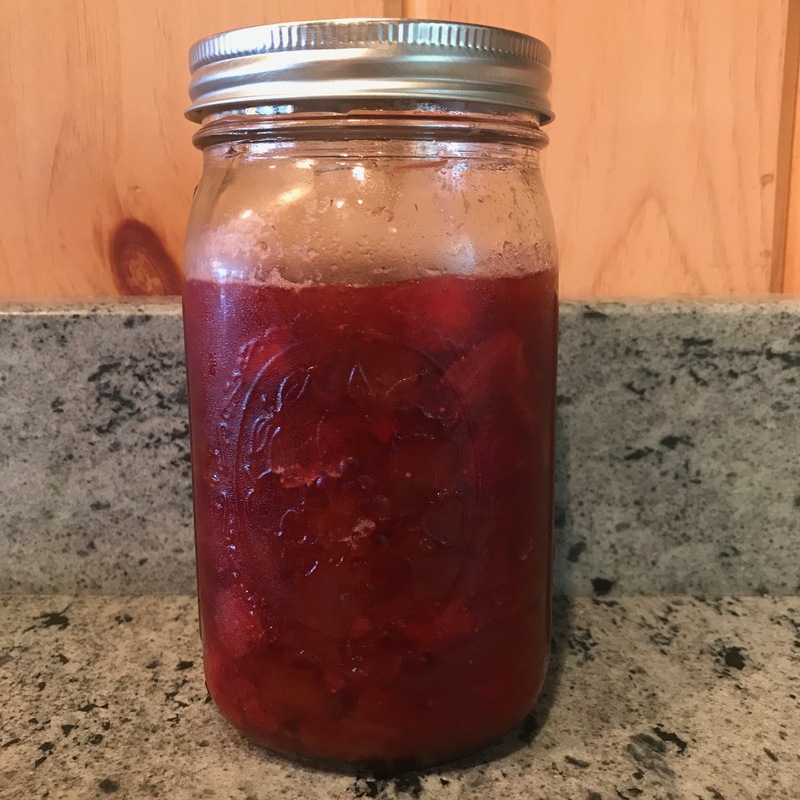 all the photos in fact, and rhubarb! you rock Life’s A Spritz!! Thanks, KMG! 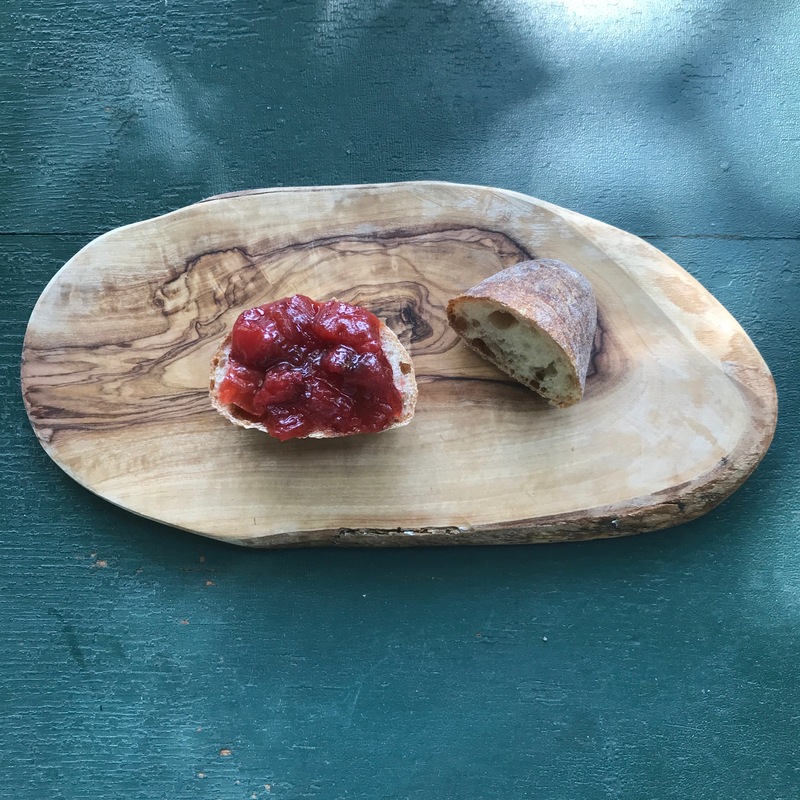 Let me know if you give recipe a try. And if your guys like it!